Integration is a critical part of any solution. However it is one of the hardest things to develop in such a way that it supports a wide range of cases and configurations. There exists a multitude of protocols (LTI, LDAP, CAS, SAML, SSO, and now I know my ABCs, next time won’t you sing with me…). Cover those bases and you run in to the next issue of configuration options with each of these “standards.” How many ways can a user come in (user_id, username, email, guid, etc.)? Too many. So at this point you have X protocols times Y options. But wait, there’s more! The data is probably imperfect (mixed case, with or without periods, etc.) so then you need to multiply by Z adjustments. What’s a developer supposed to do? Use Apidapter. By decoupling the integration layer of your solution you can offer a solution that works across an even wider range of integration scenarios but only need to invest in developing, testing, and supporting a single one. One of our clients is doing just this. 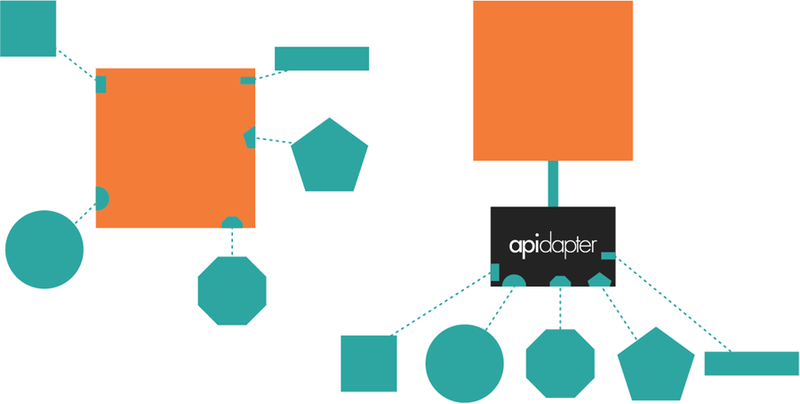 Since starting with Apidapter they been able to cut out considerable complexity from their solution, speed up their development cycles, alleviate test time, all while opening up to a wider swath of integrations thus increasing sales opportunities. Focus on what matters: the value of your solution. Leave the integration to us.